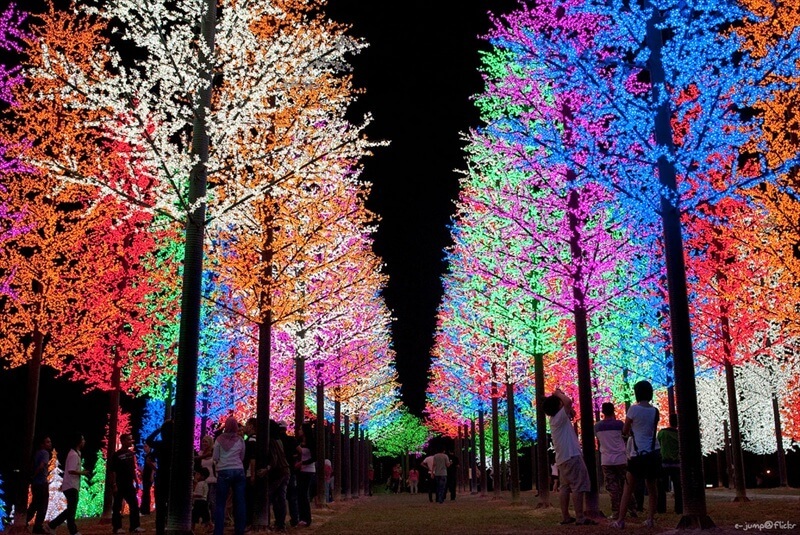 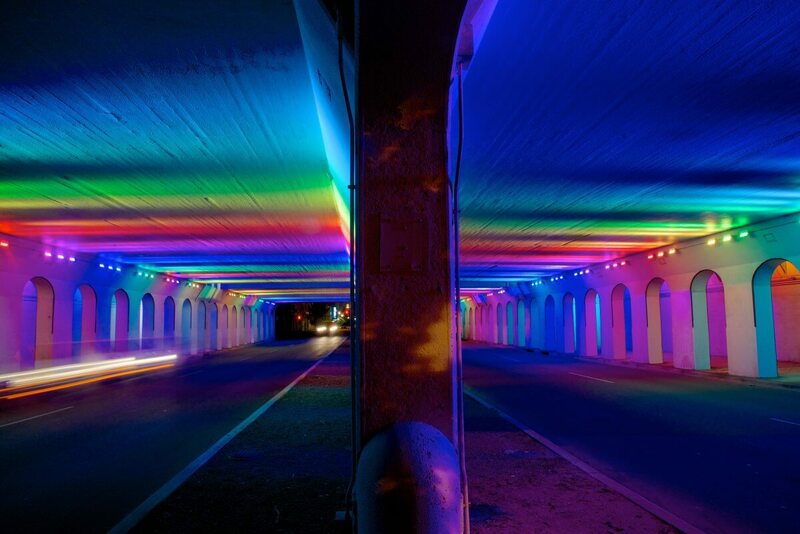 “LightRails” is an architectural light sculpture by artist Bill FitzGibbons. 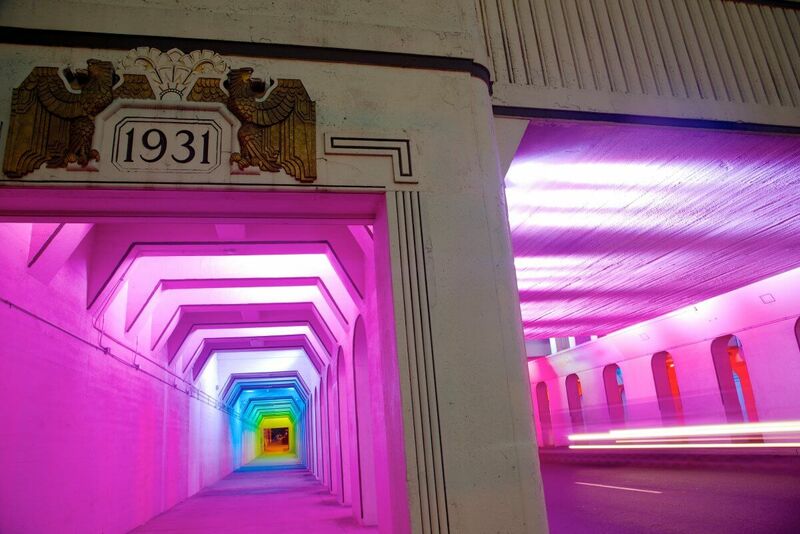 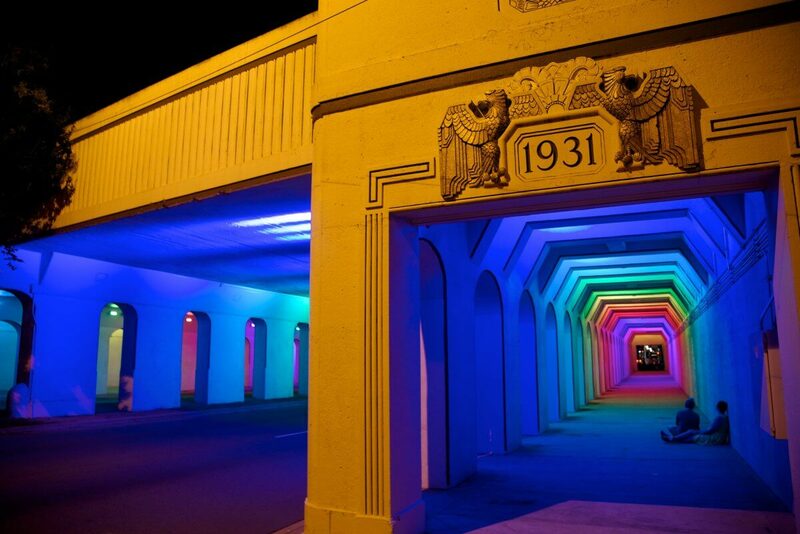 This artwork is installed in a 1931 Art Deco railroad underpass. 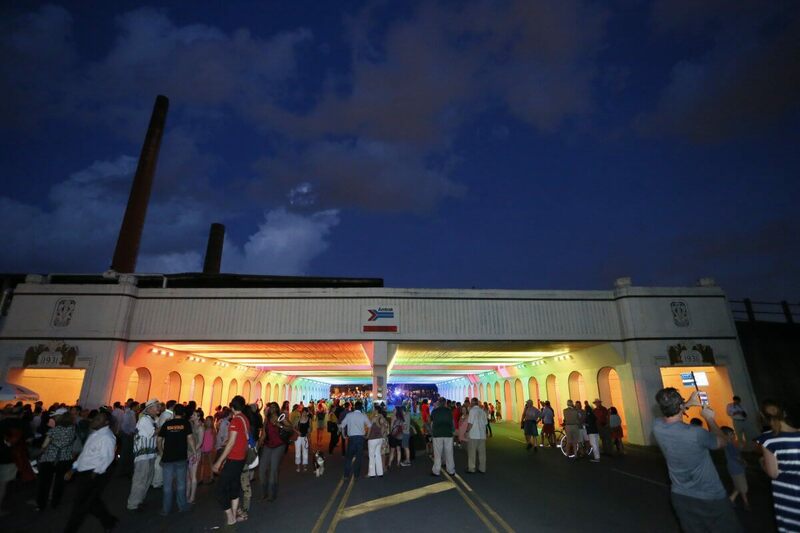 Downtown Birmingham is in the midst of a city center revitalization and “LightChannels” is an important gateway between the heart of downtown and the new urban park (Railroad Park) located just on the south side of “LightRails”. 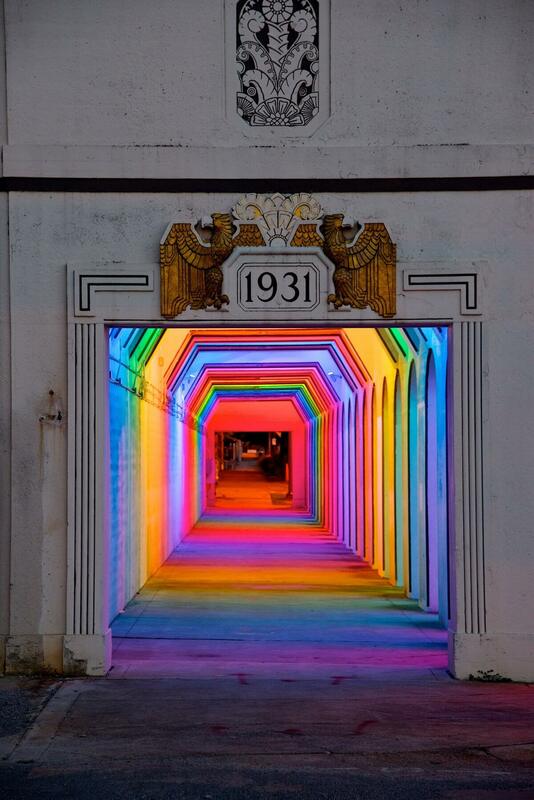 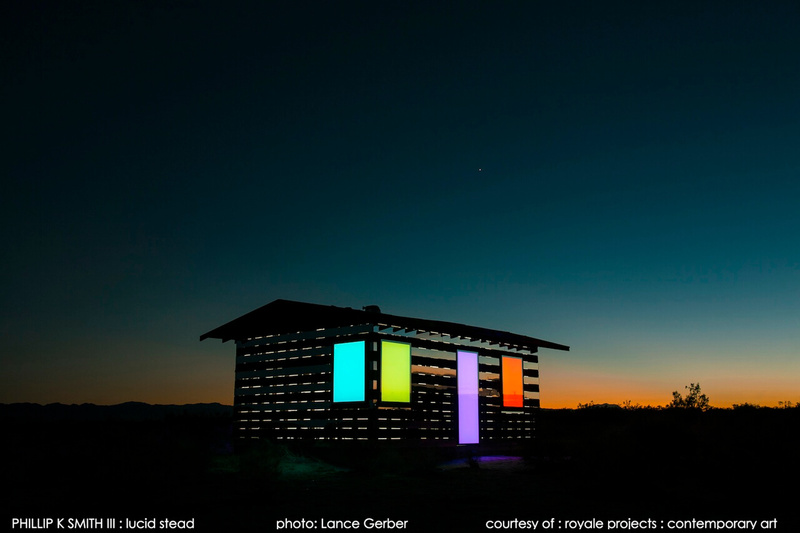 This is one of several planned architectural light sculptures that will transform dark and unwelcoming nighttime underpasses into dramatic and lively urban experiences. 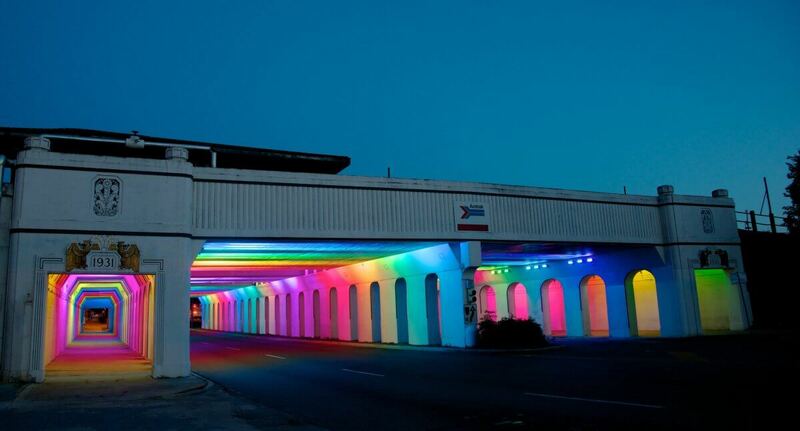 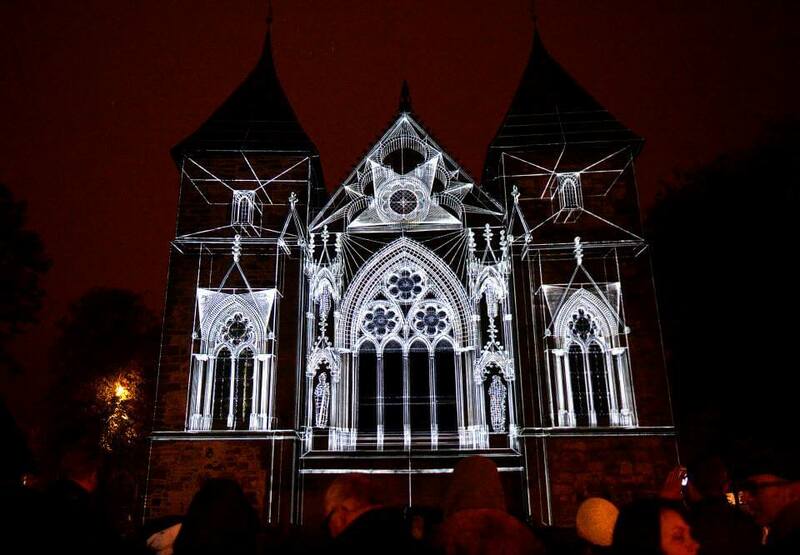 “LightRails” is a catalytic project by Rev Birmingham and is supported by the Community Foundation of Greater Birmingham.